Which apps won’t run in macOS Mojave? When Apple announced in 2017 that macOS High Sierra would be the last version of the Mac operating system to support 32-bit applications without limitations, that seemed to spell the beginning of the end for those apps on the Mac. And when it launched macOS Mojave beta in June 2018, it reinforced that message, saying that Mojave would be the last version to support 32-bit apps in any way. Most 32-bit apps still work, however, while others have been or will soon be updated. A third group have other problems with Mojave that mean they won’t run properly and have not been updated, their developers preferring to allow them to reach a natural end of life on the Mac. Will macOS Mojave support 32 bit apps? If you still run 32-bit apps and are running High Sierra or Mojave, you will probably have seen warnings telling you that the app is not optimized for the version of the OS you’re running. Most 32-bit apps still run fine, others will struggle. So, the answer to the question ‘will macOS Mojave run 32 bit apps’ is that it very much depends on the app. Technically, 32 bit apps in Mojave will run but with some limitations on what they are able to do. How do I know which apps are 32-bit? 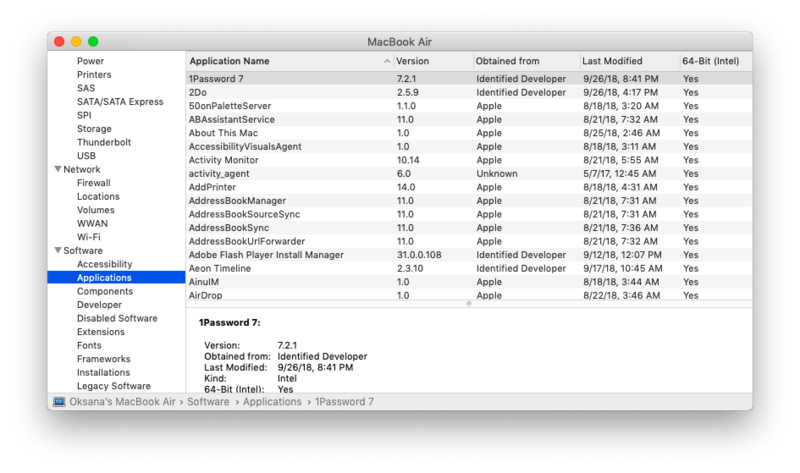 There’s a very simple way to find out which of the apps installed on your Mac are 32-bit. What do I do if I find 32-bit apps in Mojave? You could do nothing, after all 32-bit apps will still run in Mojave. Or you could launch each one to see how it runs. But you will need to take action soon, especially if you rely on those apps, because they won’t run in future versions of macOS. The best course of action is to check if there are updates available for any app you find that is 32-bit. There are two ways to do this, the fast way and the slow way. 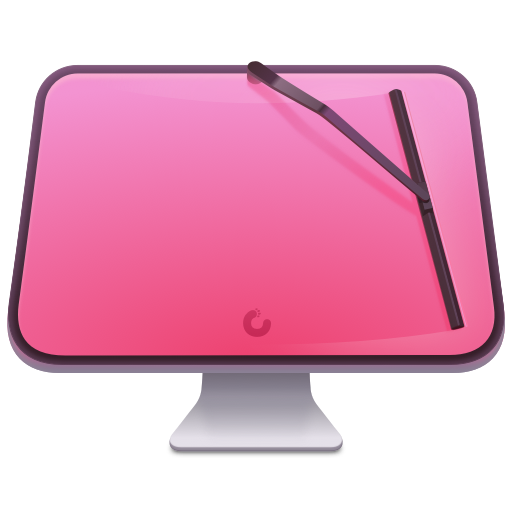 CleanMyMac X can scan all the applications on your Mac and check for updates automatically. It then allows you to view the updates and, with one-click install each one. What if there’s no update? If there’s no 64-bit version of an app you use regularly, check the developer’s website to find out if they plan to release one before September 2019. If not, it’s time to find a replacement for the app. In many cases, the developer will have released a completely new version of the app, or a replacement for it, and you’ll have to purchase that separately. In other cases, you’ll need to find a completely new app to use. Once you’ve replace the app, it’s a good idea to uninstall the 32-bit version from your Mac, to free up space and reduce the chance of conflicts. You can do this manually, by going through folders in your Mac’s Library and tracking down every file associated with the app. Or you can use the Uninstaller module in CleanMyMac which will remove every trace of an app with on click. Which well known apps are affected? The last version of Aperture, which was replaced with Photos, was released in 2014 and is 64-bit so may run without a problem. However, older versions are 32-bit and won’t run at all once macOS stops supporting those apps completely. The first 32-bit version of iWork was iWork 13, so if you’re running an older version, it won’t work after September 2019. The good news is that the current iWork apps are free to download from the App Store. Apple’s professional video and audio tools were superseded by Final Cut Pro X and Logic Pro X in 2011. If you’re still running the older versions, now is the time to move on. There is one thing to note, however. Many of the apps that used to come bundled with both Final Cut and Logic Studio were never updated. These include DVD Studio Pro, Soundtrack Pro, Cinema Tools, and Color. So, if you’re still running older versions of those apps, you’ll need to find replacements. Office 2011 is a 32-bit application and won’t run once macOS stops supporting 32-bit apps altogether. Office 2016 was updated to 64-bit in 2016. If you have an Office 365 subscription, you can update Office 2016 through that, if necessary. If you bought the standalone version of 2016 and are still running the 32-bit version, you can download an update from Microsoft’s website or by using CleanMyMac’s Updater module. All Creative Cloud versions of Adobe apps are 64-bit and so if you have a Creative Cloud subscription you won’t have any problems with Mojave or future versions of macOS. If you’re still running CS 5 or CS 6 versions of Adobe applications, compatibility varies on an application by application basis. Photoshop CS 5 is 64-bit but there have been many reported compatibility problems with Mojave. CS6 seems to work fine with the latest version of macOS. Illustrator CS5 is 32-bit so, at the very least, you should update it to CS 6 if you can. InDesign wasn’t updated to 64-bit until Creative Cloud, so if you’re running CS 5 or CS 6 you should update to Creative Cloud before September 2019. Premiere Pro has been 64-bit since CS4 and After Effects since CS5, so as long as you are using those versions or later, you should be ok. Lightroom has been 64-bit since Lightroom 2. Avid says that Media Composer is not ‘“supported” on Mojave currently. That doesn’t mean that it won’t work, but it does mean the company is aware of several issues. The hugely popular audio production tool is another one of Avid’s products that company says is not currently supported on macOS Mojave. Like Pro Tools and Media Composer, Avid says it is aware of issues with its Sibelius musical score editor and Mojave and advises against running it on Apple’s latest operating system. This popular app, that allows you to record FaceTime calls for, say, interviews or podcasts doesn’t work with Mojave. Ecamm says that Apple has tightened up security and made changes to FaceTime that mean Call Recorder will no longer work. The company says of versions X7, X8, and X9: “Through our testing and reports from users, we discovered some issues with the EndNote PDF viewer that existed with macOS High Sierra have persisted with macOS Mojave.” It adds that Endnote X6 is not “officially compatible” with Mojave at all. Suitcase Fusion 8 is currently a 32-bit application and the company says: “ Extensis is working to make its applications 64-bit compatible for all future macOS updates and will provide public updates as soon as they are available.” It also said in a support post that if users dismiss the “not optimized” warning, it should work as normal. Obviously, that won’t be the case in future versions of macOS, which will only run 64-bit applications. The company advises users running earlier versions of its audio creation tool to update to version 10.2. While macOS Mojave will run 32-bit applications, it does so with limitations. Those limitations depend on the application you’re trying to run. Most developers have already released 64-bit versions of their apps and it’s a good idea to upgrade to them now. 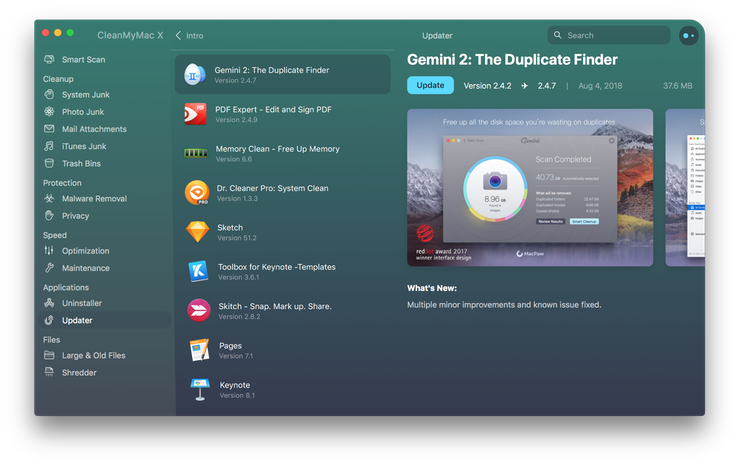 When you do, you can use CleanMyMac to quickly identify which apps on your Macs have updates available and to uninstall the 32-bit versions you no longer need.